Following months of intense training we are proud to inform our Queensland customers that we now have two qualified Jax Wax Australia trainers. Kim Magee from GAP Training and Recruitment and Amy Foxe from Beauty Expressed Training Institute are available for waxing training using a range of Jax Wax Australia products. Gap Training and Recruitment is an independent training business for advanced training within the beauty and retail sector specialising in training representing brands that are vegan and low toxic brands. Kim is an accredited trainer and is trained and specialises in the beauty sector and business and marketing. Their interactive courses have ongoing support systems which will keep you up to date with industry standards. GAP Training and Recruitment trainers are TAE qualified, experts in their field of delivery, and will offer the best training and salon practices available. Kim will tailor a waxing course to suit your individual needs. Amy from Beauty Expressed Training Institute holds a Certificate IV in Teacher Training and Assessment, Diploma of Beauty Therapy and is a Business Owner & Operator of Beauty Expressed. She also is an Official Belmacil and Elleebana Trainer and is a Certified Trainer in Eyelash Extensions (Classic & Volume mastery). She had been an educator for many years studying Beauty as well as being a Beauty Therapist. Her aim is to offer people what they would like by listening to what her clients want, and furthermore giving her all. If you are interested in holding a Jax Wax Australia training session please contact either Kim from Gap Training and Recruitment or Amy from Beauty Expressed Training Institute directly for the costs and range of courses they have on offer. 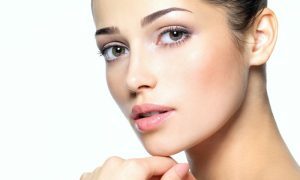 This entry was posted in General news, Training and tagged eyebrow waxing, hot wax, Jax Wax Australia, strip wax, training, treatment advice, waxing techniques.